What an amazing weekend in beautiful Nannup. It was warm, very warm, but after being rained on at so many gigs this year, warm was good. As you enter the town on festival weekend the first thing you notice is all the bright colour everywhere. Colourful signs, flags, art installations and all the colour of the market. By Friday night the place is buzzing with people and you can hear tent pegs being banged in all around as people set up for a full long weekend of great music, art and entertainment. It was a fantastic lineup of artists this year. So many good bands from a world of different backgrounds. From the deserts of central Australia, the Northern Territory, Melbourne, Albany, Denmark. Tash Sultana was of course very popular, as were Skinnyfish Soundsystem, Southern River Band, Tin Pan Orange, Morgan Bain and so many more. The morning yoga sessions were super popular as well. Yoga accompanied by live music….bliss. The stages changed a little this year. There was the main amphitheatre, the Nannup Hotel and the Town Hall as usual. The new stage “Tigerville” set in amongst the trees with it’s very own cute bar was a big hit and was full most of the weekend. The Playground is the other main stage, which is always popular with families as it is surrounded by a huge array of things to keep the little people entertained. Awesome food trucks kept the big crowd fed for the weekend. Such a wide range of interesting and delicious food. Street theatre and buskers really add to the wonderful vibe of the festival. All in all a great weekend. Special thanks to the lovely ladies at the Nannup Hotel who welcomed our crew for the weekend. Big congratulations to Phaedra and the committee and many volunteers who must be so proud of what they achieved. 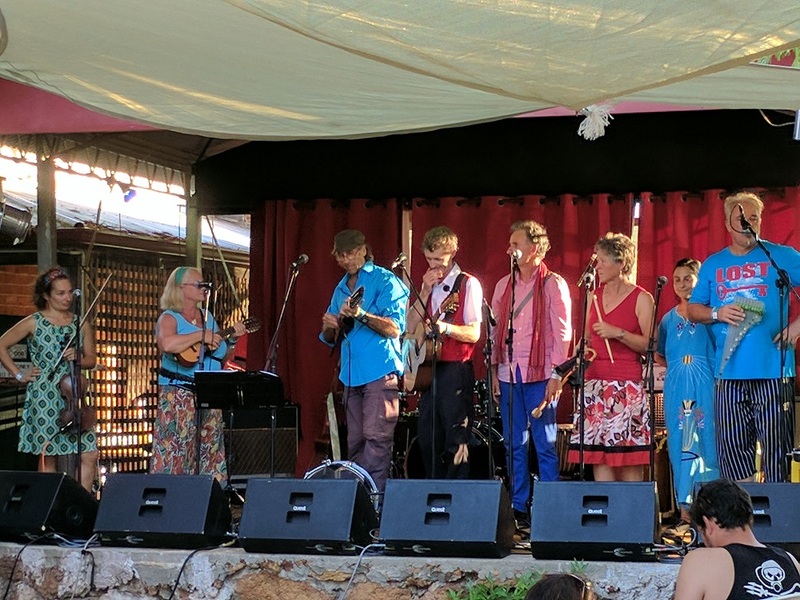 Another great Nannup Music Festival. Phaedra and the triple J's : James Luscombe, Jared Ross and James Newhouse. The main amphitheatre crew.